With temperatures soaring into the 30s in the UK most of the country seemed to be headed to the beaches, or watching the World Cup, however a huge contingent fans of the Pugilistic Arts had bigger and better things on their mind and instead headed to Essex for the Tommy Jacobs versus Bilal Mohammad World Boxing Foundation (WBF) International title fight, which was due to be supported by Iain Weaver versus Emmanuel Addo Professional Boxing Council (PBC) International Title clash at Charter Hall in Colchester. However on their arrival they were greeted with the news that not only had Jacobs' opponent had been changed to Godwin Cudjoe at the last minute but the aforementioned PBC title fight had been switched to a ten round non-championship contest in which Weaver would face Ghana's Michael Barnor instead, as neither Mohammad or Addo had received their Visas in time. With the Charter Hall literally rammed to the hilt Ghana's Godwin Cudjoe made his way to the ring and received a very warm welcome from the fans, however as Jacobs began his ring-walk the decibel levels went through the roof, leaving no doubt it was the local hero Jacobs that they had come to support. Right from the opening bell Jacobs and Cudjoe moved to centre ring and began to tentatively test the other with a series of good solid jabs, then around the thirty second mark Jacobs lets rip with an explosive right hand to the head, which he immediately backed up with another huge right to send the Ghanaian reeling backwards. Cudjoe initially covered up before throwing a big solid jab, Jacobs responded in kind, before letting rip with another big right. Cudjoe boxed behind his jab to open up some room for a body shot, but as he goes to throw the shot Jacobs throws another big shot and starts to push the Ghanaian back towards the ropes. With his man backed on the ropes Jacobs stepped forward and let rip with a series of big shots to force Cudjoe right back into his own corner before proceeding to let rip with big left and rights, culmination in a huge right to the head that sent the big Ghanaian to the deck. Cudjoe bravely tried to make it to his feet but immediately dropped down onto his haunches, initially referee Lee Murtagh continued the count but then waived the contest off so that Cudjoe could receive attention from the medical team. After a thorough medical check-over Cudjoe rose to his feet to applause from the crowd and then moved to centre ring in time for the MC result announcement and Championship belt presentation to Tommy Jacobs by World Boxing Foundation Supervisor Mr David Murphy. Official time of the stoppage was one minute and eleven seconds of the first round. Side note to this fight, the Judges for the WBF title fight were former British, European and WBU World Champion Wayne Alexander, former British and Commonwealth Heavyweight Champion Julius Francis and Ghana's top International Championship referee and judge Roger Barnor. As mentioned above Ferndown, Dorset's Iain Weaver was due to be challenging Ghana's Emmanuel Addo for the Professional Boxing Council (PBC) International Lightweight Crown, however as Addo hadn't received his visa in time to travel over to the UK, Weaver instead had to be content with a non-Championship ten rounder against late replacement Michael Barnor. Both boxers moved to centre ring on the opening bell and began exchanging testing shots in an attempt to wrestle control, initially it was single shots but after about twenty seconds or so Weaver started to let his shots flow, letting rip with combinations to body and head. Barnor responds in kind, doubling up his jabs and shooting solid rights to the body of the Englishman. 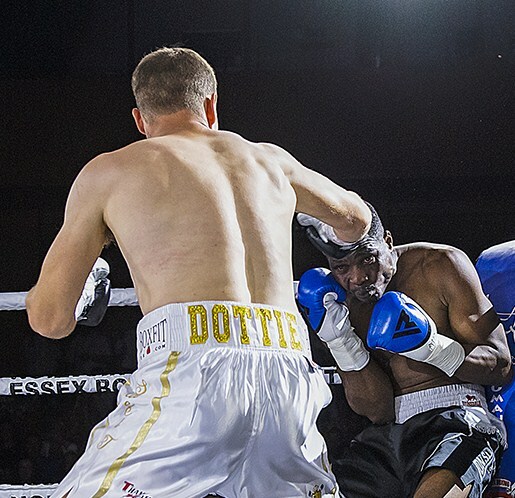 Initially Weaver steps back a touch and works behind his jab, before powering another stinging combination to the body and head of the Ghanaian. 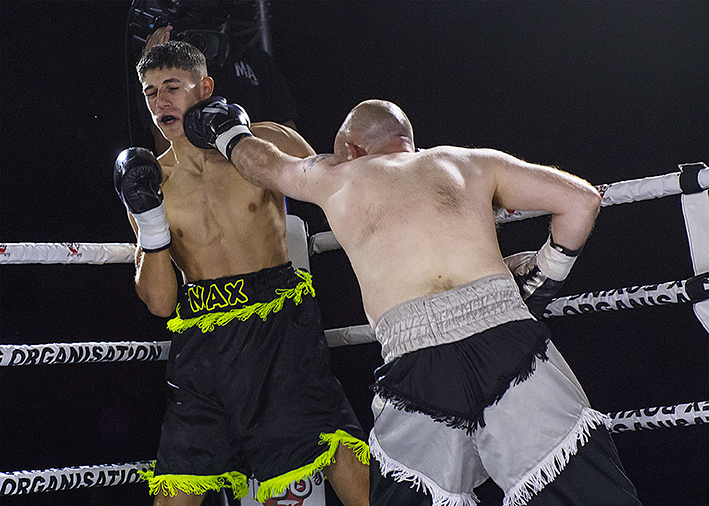 Barnor throws caution to the wind and goes on an all out attack and throws a powerful jab followed closely by a big right hand and a double-handed shot to the body. Weaver weaves and bobs to avoid the shots landing solidly, before responding with a double-handed flurry. Weaver then proceeded to drop his hands in an attempt to draw his opponent in, which he does, before shooting a looping shot into the face of the forward marching Ghanaian, quickly followed by a couple more solid rights. Barnor kept marching forward behind some good solid jabs, Weaver though just stood his ground before launching a massive right to the head. Barnor though is made of sterner stuff, he didn't back down, just stood his ground and got back behind his jab. Both protagonists vied for control of centre ring in similar vein for the next minute or so until the end the round. Weaver started had and fast with a big combination, Barnor responds with a solid jab, but in doing so left a the smallest of openings, Weaver doesn't need a second invitation and lets rip with a big right to the body followed up with a double right to the head and a huge left to the body. Barnor survives the onslaught and gets off a couple of powerful shots of his own, Weaver just walks through them and backs the Ghanaian onto the ropes and proceeds to pepper Barnor with shots to body and head. Barnor manages to spin off the ropes and dangles a jab; Weaver stalks him and throws a right, left to the head, right to body and left hook to the head combination. Barnor weaves and ducks to avoid another big left, but on rising was confronted by a big sensationally quick double-handed flurry of shots. Barnor responds immediately with a cracking left, right combination of his own, Weaver shrugs the shots off and steps in with a massive left to the head immediately followed by massive right, left exocets to the head that sent Barnor crashing to the canvas. Barnor began to rise on the sixth count point, but as he did his legs just folded and down he went again, Referee Lee Murtagh didn't hesitate, he waived the fight off on the one minute and forty nine seconds mark of the second round and signalled for the medical team to enter the ring to attend to Michael Barnor. I'm pleased to report Michael Barnor was perfectly OK and even joined Iain Weaver in centre ring for the official result announcement. 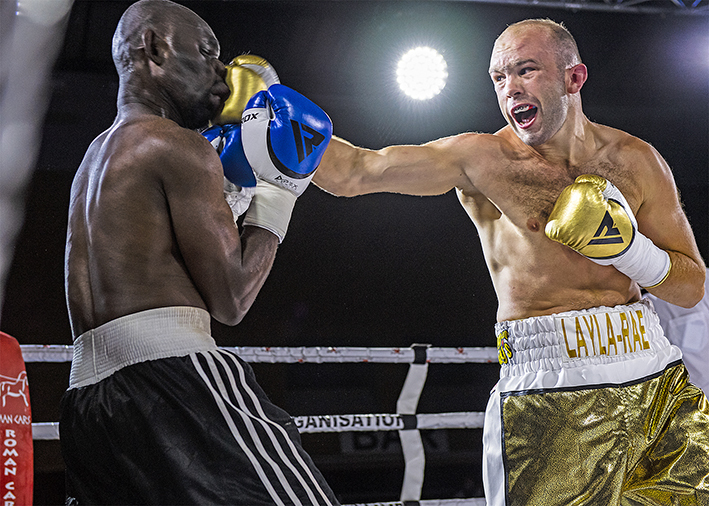 At the end of the contest it was announced that Iain Weaver Versus Emmanuel Addo for the Professional Boxing Council (PBC) International Championship will now take place in Aberdeen on the 28th July. Also on the event was a four round Welterweight contest I was really looking forward to watching and reporting on as it featured the UK's youngest professional boxer, Grantham's Max Brown, making his pro debut against Belfast's Marty Kayes. 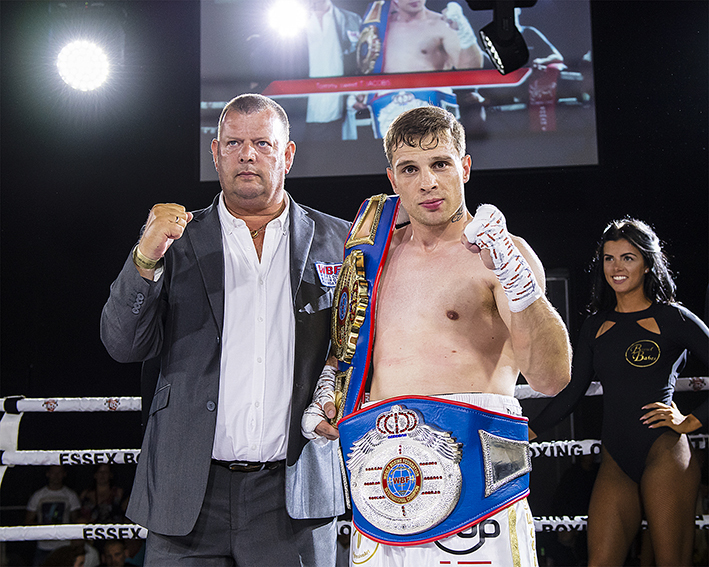 I've seen young Max Brown in action on a number of occasions and believe he has the skills and ability to emulate other stars, such as Saul Alvarez (Canelo), who turned pro at a tender age and went on to secure Championship honours. Kayes, a seasoned pro, on the other hand has been quite successful over the past couple of months, securing two victories in his previous three bouts, one of which was a Masters Title fight and the first of those wins was over a top former Amateur star, which made it clear to me that young Brown was destined for a true Baptism of Fire, what I didn't realise was just how much though. I'm not going to write a round by round report on the fight, just an overview as much of the action throughout the fight was in similar vein. Brown boxed his normal slick, boxing long style, whilst Kayes stuck to what he does best - pressuring his opponents. Brown concentrated on utilising his jab, to fairly good effect early in each round, but as the rounds progressed just seemed to hang the jab out there but not actually connect. When the youngster did let his hands go he landed some sensational shots, just not enough. Kayes seems to love walking down his opponents, he just keeps going, and like a steam train he just keeps on chuffing away ignoring obstacles, such as jabs, until he reaches his destination. Once there the tough Belfast man lets rip with big flurries of shots to the body before stepping back and getting behind his jab, which is exactly what he did on Saturday night. The later rounds got quite messy at times, much of it after Kayes corralled the youngster on the ropes, Brown's response was to grab hold to prevent the Belfast man throwing his shots. To the same degree there was some exquisite work from Brown, just unfortunately only a small amount of the shots reaching their intended target. After four rounds of boxing Referee Lee Murtagh scored the bout 39-37 in favour of Belfast's Marty Kayes. Whilst the correct result without doubt, I can't help but feel for the youngster as I know how good a boxer he is, his style and approach usually similar that to the "Blessed One" Iain Weaver, so will definitely be there for his next fight and watch him get his first Pro win. My final words are on the event itself; this is the first time I've been to a Tommy Jacobs promoted (as well as headlined) event. Jacobs sure knows how to put on a show, the presentation was first class, the fights, not just the pro bouts but also the undercard sanctioned by Essex Boxing Organisation, were all of the highest standard, no wonder on the hottest day of the year so far so many people turned out. Kudos Mr Jacobs.